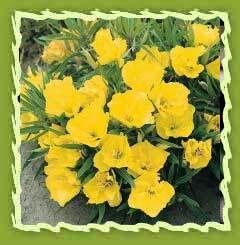 Evening Primrose is a common wildflower found in North America, Europe and parts of Asia . This plant was used by Native Americans, evening primrose has also been used medicinally in Europe since the seventeenth century. Over the last 20 years, this oil has once again become popular for its medicinal properties and is now a common dietary supplement. Appearance : Liquid or in the form of capsules. Chemical constituents: Evening primrose essential oil has various chemical compounds that include Gamma-Linolenic Acid and Linoleic Acid, Polyunsaturated fatty Acid. Extraction: It is extracted by the expression of the seeds. It provides nutritional support and to treat against conditions such as sore throats, stomachaches, hemorrhoids, and bruises. It was given for stomach and liver complaints as well as disorders of the female reproductive system. More recently, the discovery of antioxidant and other properties of the seed oil has focused attention on its usefulness in treating a range of diseases and disorders, including as an anti-inflammatory, and for premenstrual syndrome (PMS), rheumatoid arthritis, diabetes, osteoporosis, ulcerative colitis, menopausal problems and heart disease. Oil cure, treat or prevent practically everything-from rheumatoid arthritis, breast pain, hot flushes, premenstrual syndrome, eczema, psoriasis, dermatitis and dry skin, relief of allergies, reducing joint inflammation and swelling asociated with arthritis, promoting healthy heart function, blood pressure and cholesterol levels. Evening Primrose Oil contain two essential fatty acids: gamma-linolenic acid (GLA) an essential fatty acid that the body does not manufacture and linoleic acid (LA). Both GLA and LA are said to aid in the reduction of pain and inflammation. The oil is said to have an effect in lowering blood pressure and in preventing the clumping of platelets, it has been recommended in treating cirrhosis of the liver and is most commonly taken for premenstrual problems. The leaves of primrose can be cooked and eaten as greens. The roots can be boiled like potatoes and eaten. The flowers are sweet and can be used in salads or as a garnishings. The young seedpods can be steamed and the ripe seeds can be roasted in an oven for 15 to 20 min. at 350°C and used on bread or in salads. The roasted seeds can be sprinkled like pepper. The seed contains 28% of a drying oil. It is edible and a very good source of gamma-linolenic acid, an essential fatty acid that is not found in many plant sources and has numerous vital functions in the body. The seed contains 28% of a drying oil. It is edible and a very good source of gamma-linolenic acid, an essential fatty acid that is not found in many plant sources and has numerous vital functions in the body. It has been a very well food supplement and is relished . It is also taken internally in the treatment of eczema, acne, brittle nails, rheumatoid arthritis and alcohol-related liver damage. Regular consumption of the oil helps to reduce blood cholesterol levels and lower the blood pressure. A tea made from the roots is used in the treatment of obesity and bowel pains. The oil from the seed is added to toiletries and cosmetic preparation. It is often combined with vitamin E to prevent oxidation. A finely ground powder made from the flowering stems is used cosmetically in face-masks to counteract reddened skins. It helps in healing skin irritations. It also increases skin hydration and moisturizes dry, aging and chapped skin. It is used in dilution with other essential oils used for massaging. 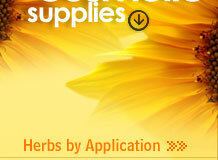 It is also used in the preparation of soaps, perfumes and other products. A yellow dye is obtained from the flowers of primrose used in dyeing process.